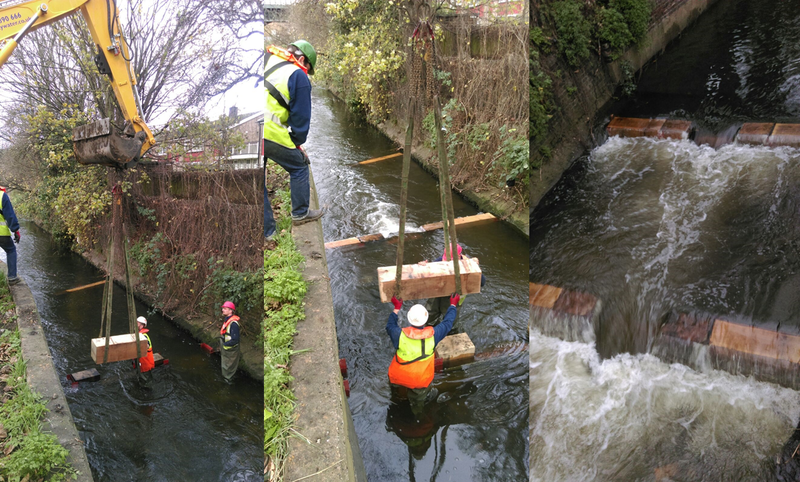 Last year we were working on a fish passage project on the Wandle at Trewint Street, Earlsfield. Although there are many weirs on the Wandle which impede the migration of fish Trewint Street is one of the largest, with two weirs either side of a large concrete channel. 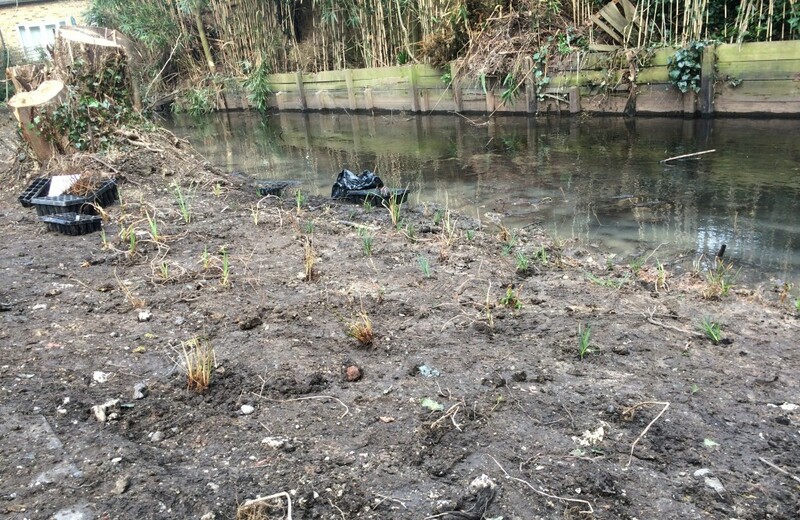 With funding from the Environment Agency, Thames Water and Defra’s Catchment Partnership Action Fund (CPAF), we have restored passage for fish and eels, allowing movement to upstream habitats. So how did we achieve this? 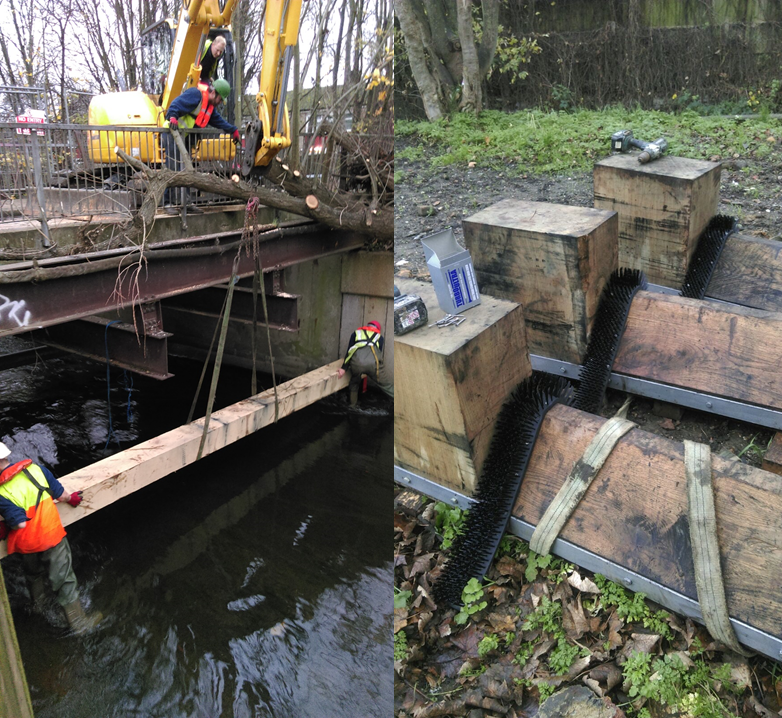 A bespoke fish pass was designed by Fishtek and installed on the weir by local contractors Amenity Water Management (AWM). 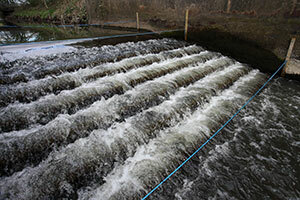 At the top of the right hand weir, a series of recycled plastic baffles were fixed onto the weir. 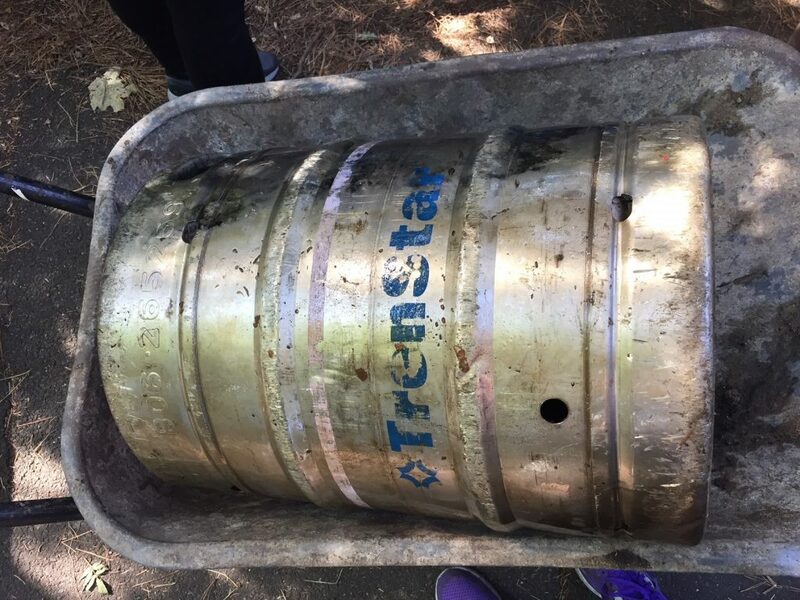 These deepen and slow the flow of water and as you can see from the picture below, the baffles are arranged with a diagonal gap up to the top. This is the path the fish use to swim up the weir. 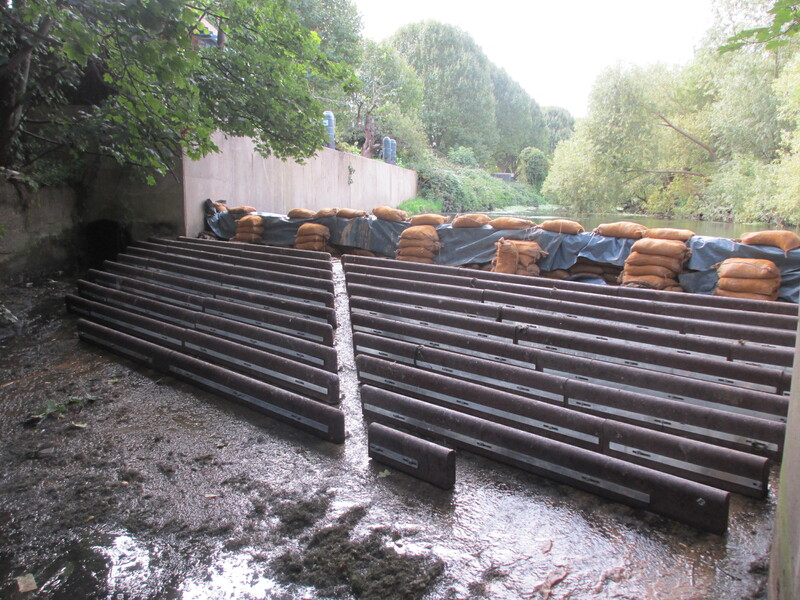 The baffles had to be fixed to the weir in dry conditions, and so sandbags were used to divert the water down the left hand weir, leaving the right hand side high and dry while our contractors worked. Watch the timelapse footage of AWM installing the baffles. 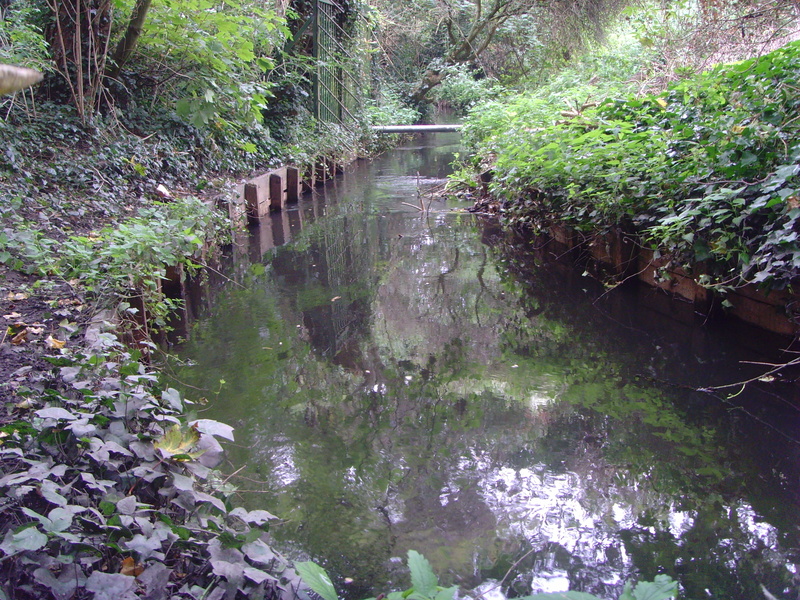 The second part of the fish pass were three large wooden pre-barrages at the bottom end of the island which were designed to slow the water down and reduce the drop in water level between the channel and the baffles. 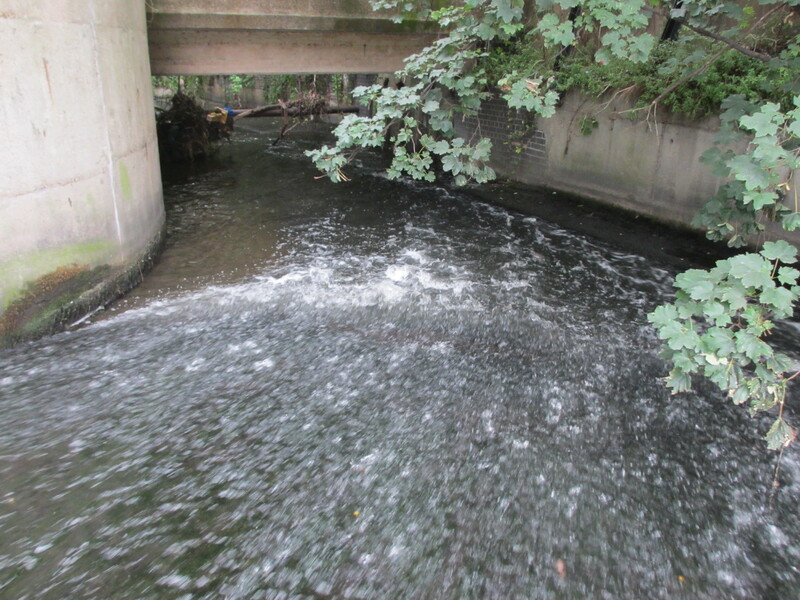 Each barrage was notched to create a path for migrating fish. To makes sure the pass works in low flows a huge piece of wood (7m long!) 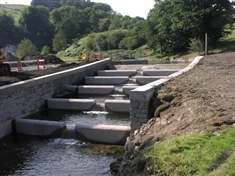 was placed at the top of the left hand weir to divert water at low flow down the right hand side and the fish pass. This ensures the pass works over a large range of flows. Bristles were fixed to each of the barrages to allow eel passage. 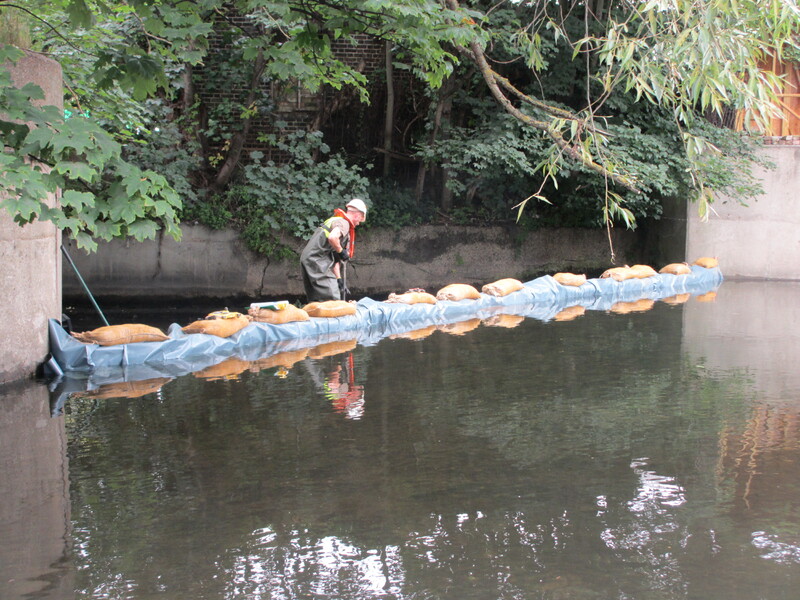 Eel tiles were then fixed alongside the baffles on the concrete wall making the weir passable to both fish and European Eels. 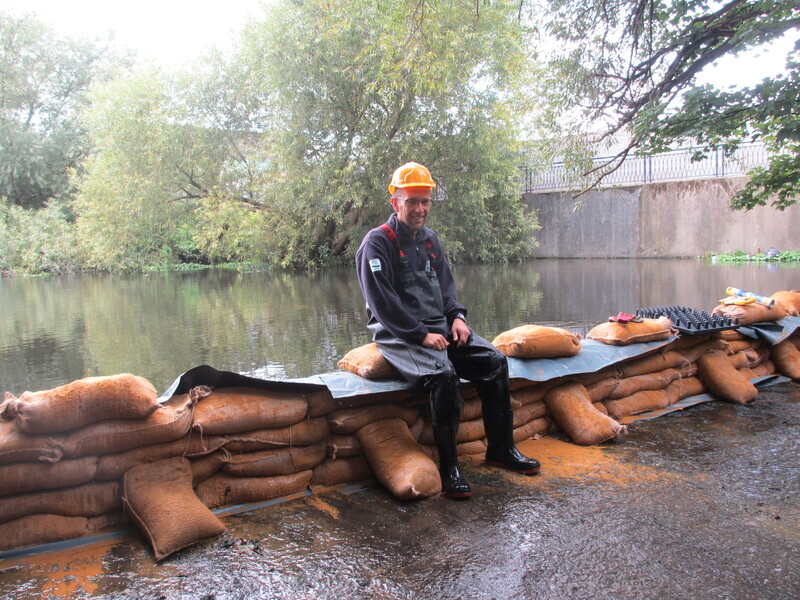 A big thanks to our contractors AWM, landowner Mr Lammas and Thames Water, Defra and the Environment Agency for their funding. 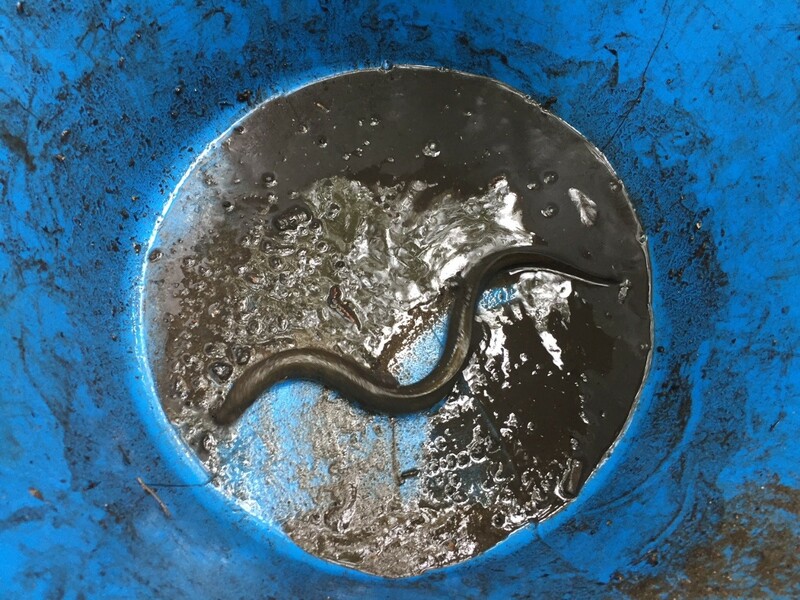 This entry was posted in Wandle Catchment Plan and tagged Catchment Partnership Action Fund, Eel, Eels, Environment Agency, Fish passage, River restoration, Thames Water, Trewint Street, Wandle on January 26, 2016 by Polly. Welcome to our new Education Officer! The Wandle Trust is proud to introduce David Gill as our new Education Officer. David is going to be responsible for following on from the very successful ‘Trout in the Classroom’ programme that we ended last year. 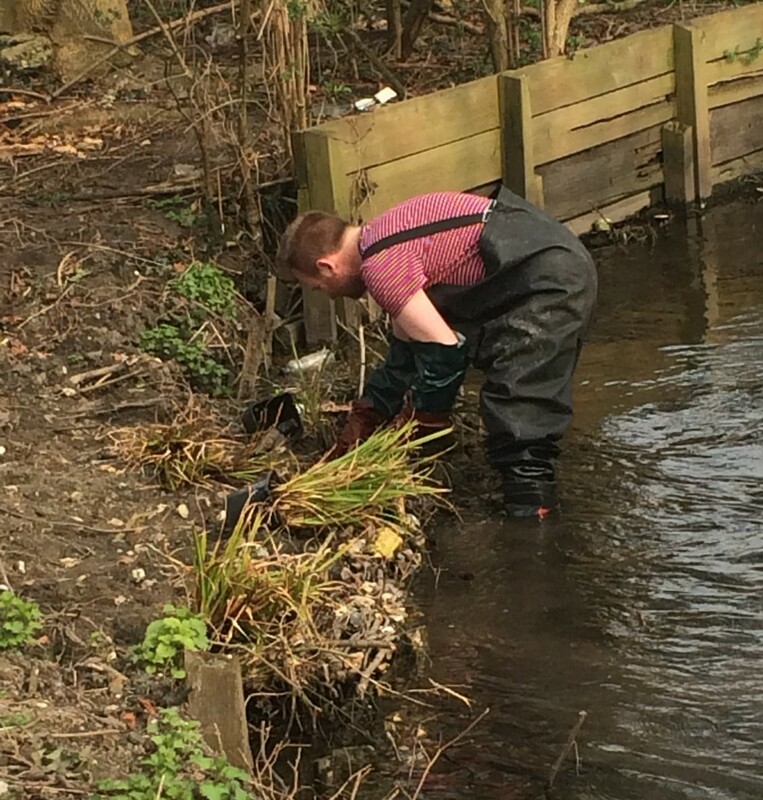 We’ll aim to draw on David’s extensive experiences of working in the classroom to create a very innovative teaching and learning package that will engage children and young people throughout the catchment of the Wandle. 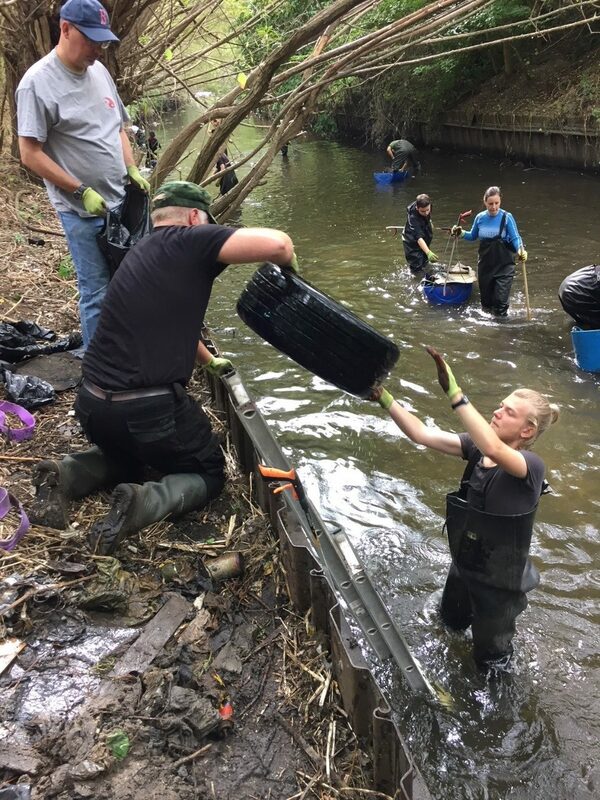 A project that is possible through the Living Wandle Landscape Partnership, funded by the National Lottery’s Heritage Lottery Fund. David has been teaching for over twenty years and has taught everyone from pre-school to adults! He has travelled around the world for both business and for pleasure. 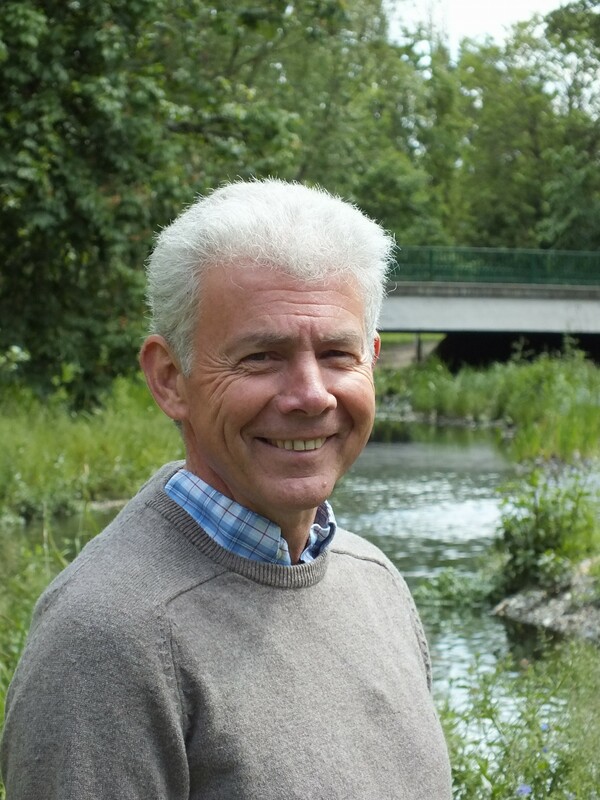 David also works as an Education Officer for a local wildlife trust where he initiates and develops Programmes of Study in line with the revised National Curriculum. He is particularly interested in the incorporation of information technology in to environmental learning. 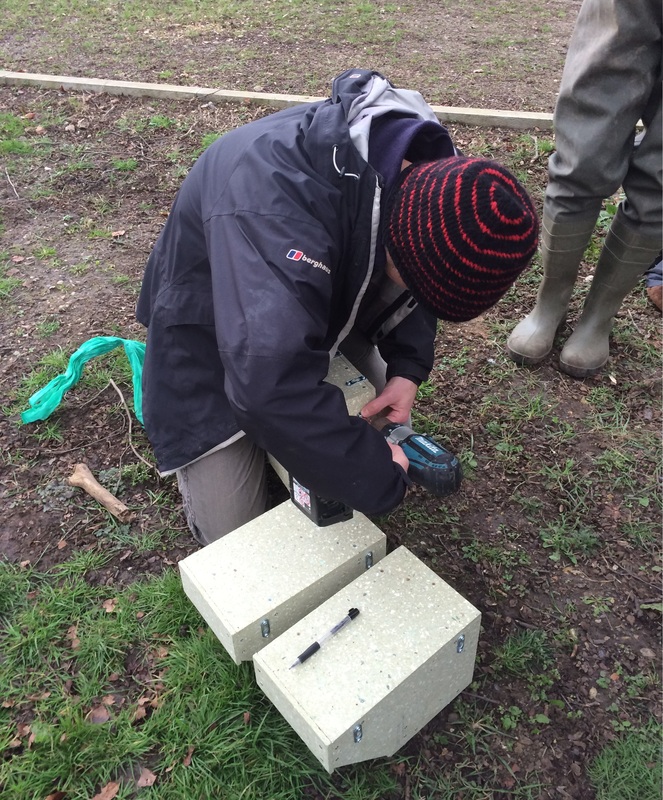 David completed his degree in Environmental Sciences at UEA in Norwich before embarking on his Post Graduate Certificate of Education in secondary school geography and sciences. His classroom experiences include teaching in a remote jungle school in Papua New Guinea, working with street children in Southern India and tutoring via the radio in the Australian outback. 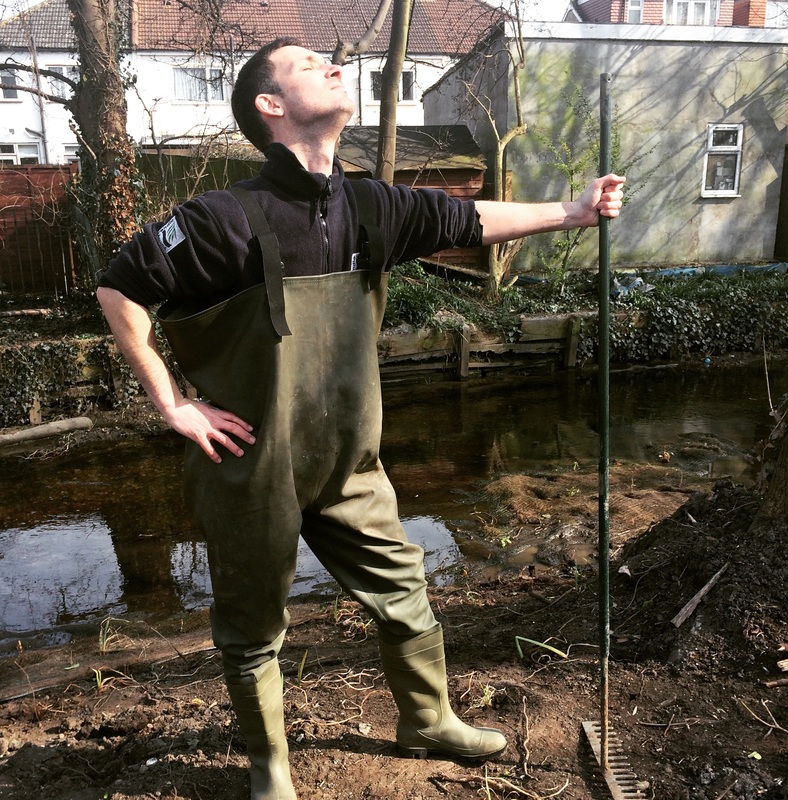 David says ‘I am looking forward to the challenges of this exciting job – I hope that in working with schools we can increase the awareness of the Wandle in to the lives of local children and their families in a fun and practical way’. 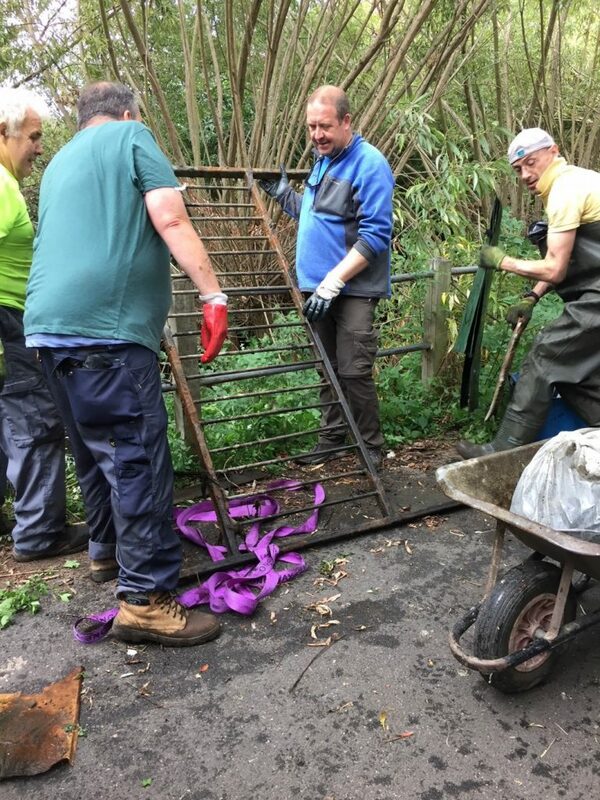 This entry was posted in Wandle Catchment Plan and tagged Education, Events, Jobs, Living Wandle Landscape Partnership, Spreading the Wandle Word, Trout in the Classroom, Wandle, Wandle Catchment Plan on June 15, 2015 by Polly. 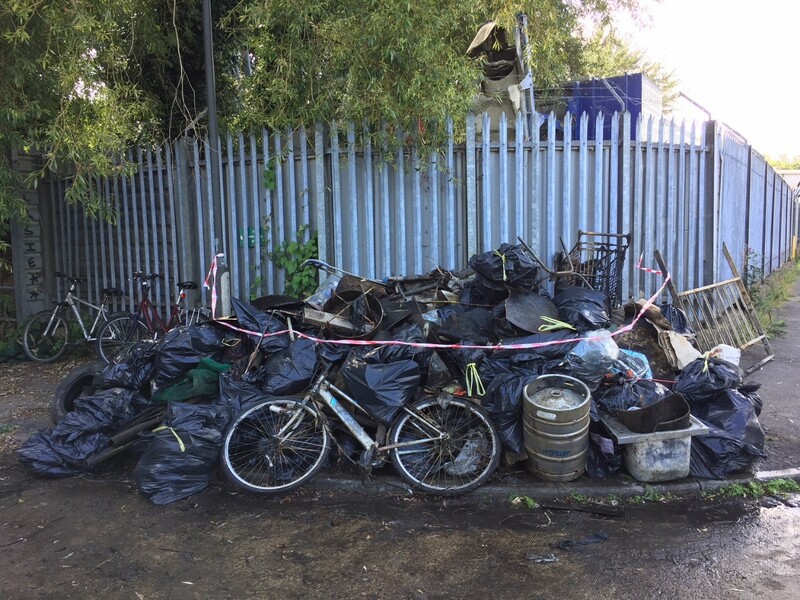 Beddington Park: Add Your Voice! 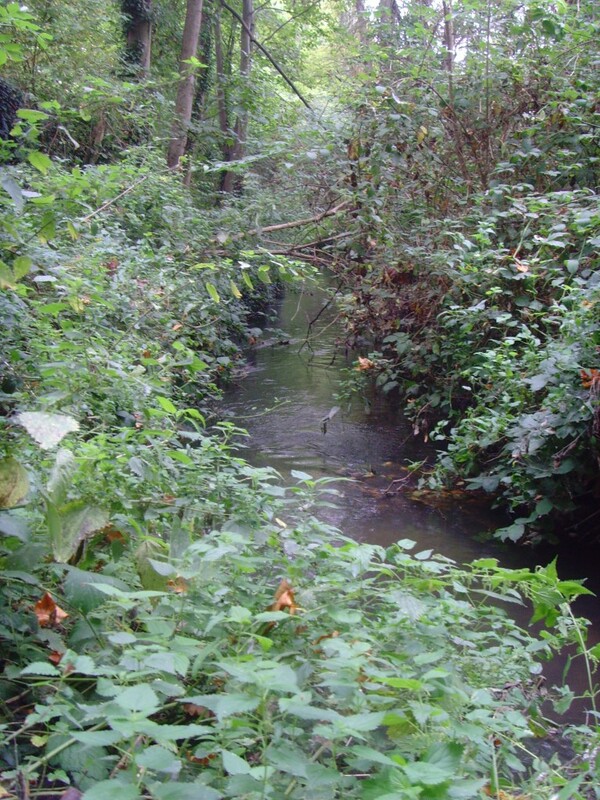 This year there is a Heritage Lottery Fund project to restore Beddington Park, including the lakes and the River Wandle. 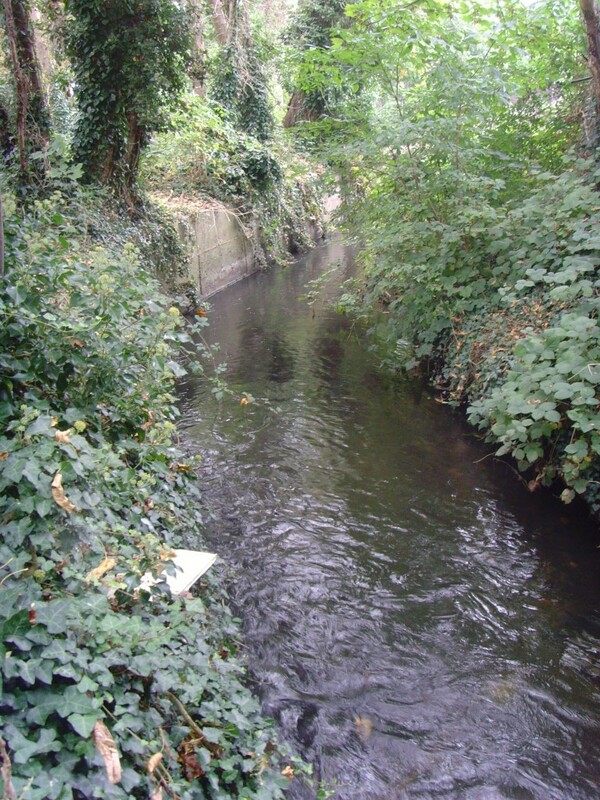 The Wandle Trust have been involved in developing the bid with Sutton Council, providing expertise and guidance. 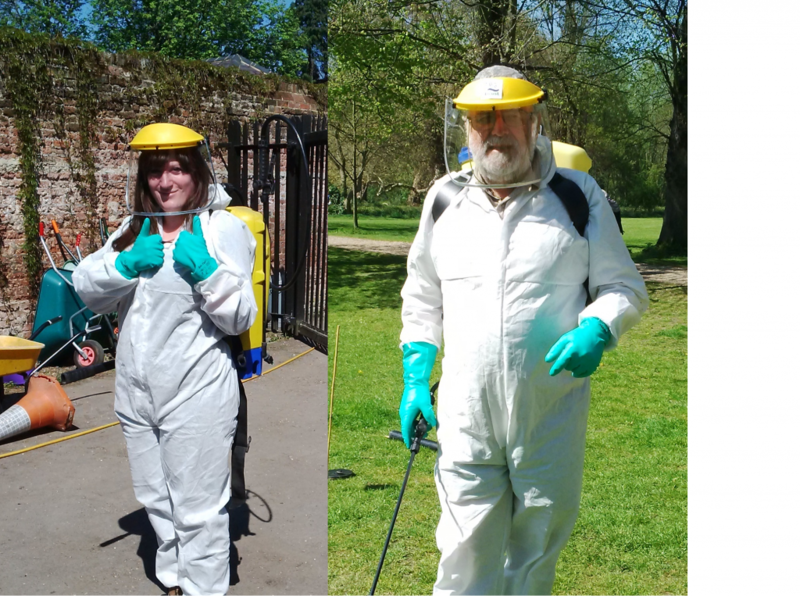 If you’re a user of Beddington Park or live close by, please take the time to complete this short survey to add your voice to how you use the Park and how you’d like to see it improved! 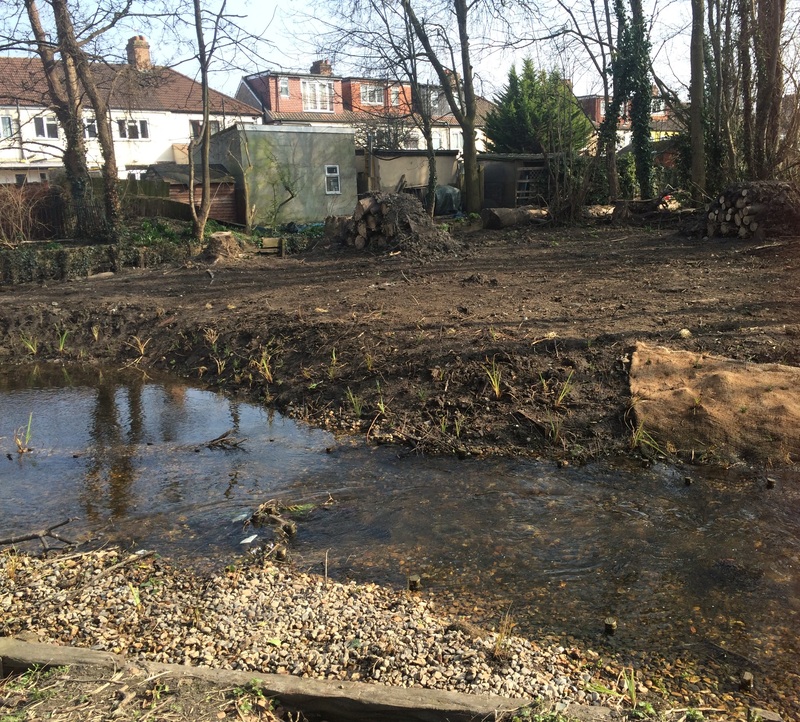 This entry was posted in Wandle Catchment Plan and tagged Beddington, Consultation, Have your say, HLF, People, Planning, River restoration, Spreading the Wandle Word, Views from the Wandle, Volunteer, Wandle, Wandle Catchment Plan on May 14, 2015 by Polly. 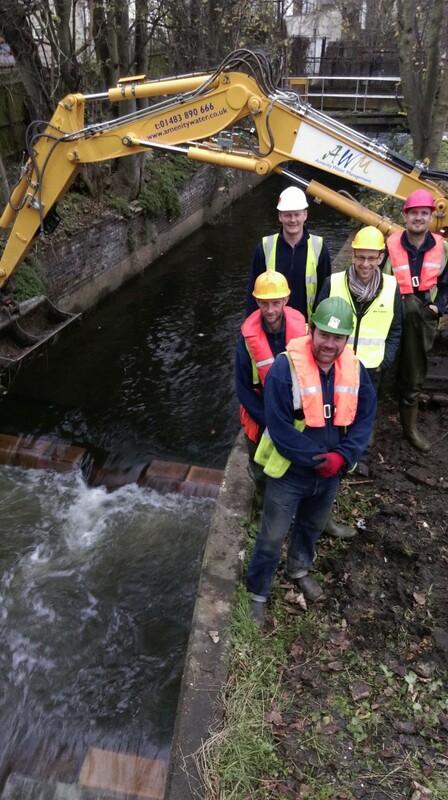 Two weeks ago, we spent three days back at our Ravensbury Park Back Channel project to finish off the works. Day 1 was spent preparing a site for 2000 plants which were due to arrive the following day. Our loyal volunteers arrived expecting an easy day of planting and instead we surprised them with spades, shovels and a huge pile of soil! 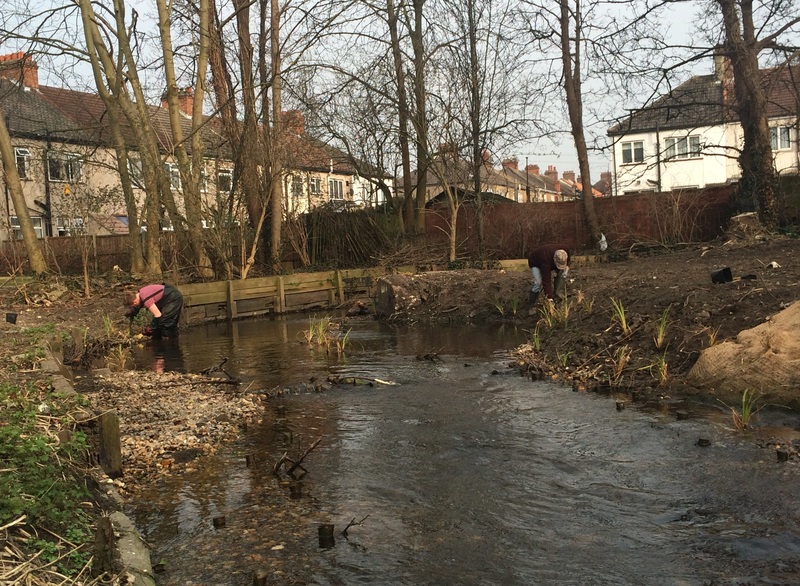 We needed to create a gentler slope on the bank and to do that involved some serious work. But with visions of tea and cake we soon got stuck in and the bank started to take shape. 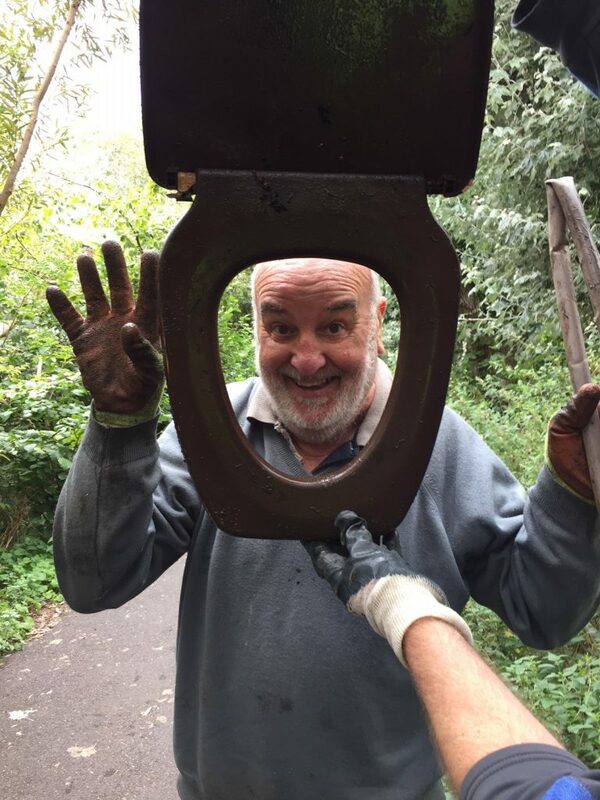 Meanwhile, we also had a team putting up bird boxes in the area. These bird boxes have been designed with grey wagtails in mind, a bird which you can often see skipping along the back channel. The day ended with a pilot test of our bat boxes. 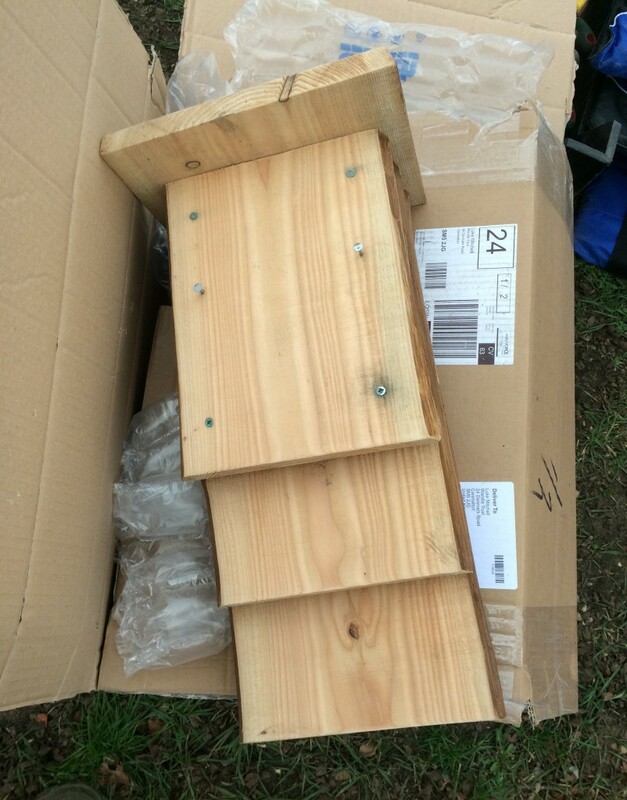 We have brought five bat boxes to put up in the area. They are odd looking things with flat wood and small crevices between for the bats to roost in – almost like a bat multistory car park! With wire and a ladder, Luke and the volunteers tried to install the first one to perfect the technique ready for the next day. Day 2 soon came round with slightly improved weather and all 2000 plants had arrived! We ordered a variety of species – some were to be planted in the water, and others would be added to the banks such as lesser pond sedge and reed canary grass. All together these would make a great marginal community of native plants. 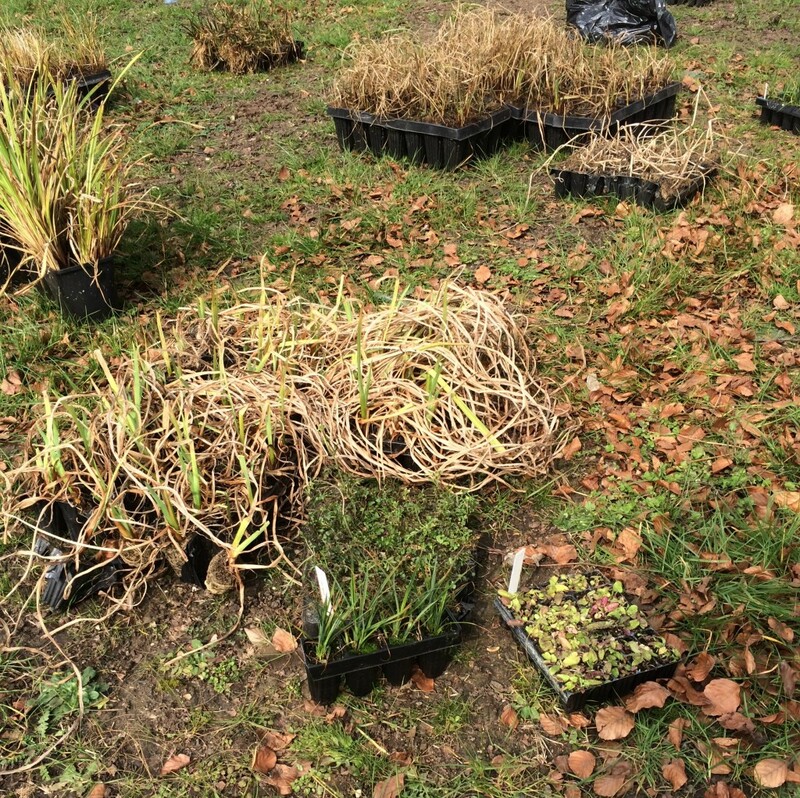 We had 2 sites to plant up so we divided the trays into piles of different species – one pile for each site. 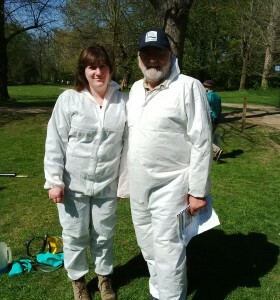 Our 9 volunteers then headed off to site number 1 armed with dibbers, waders and gloves. By lunchtime, the site was finished and everyone was ready for tea, coffee and cake. On our third and final day we were joined by 5 volunteers to do the last bits of the project. 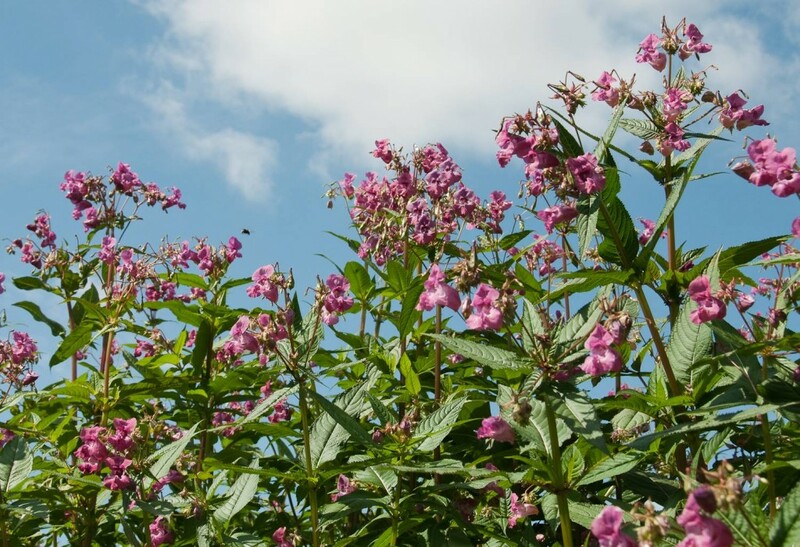 First we all focused on the final 1000 plants – and even I had the chance to get involved! 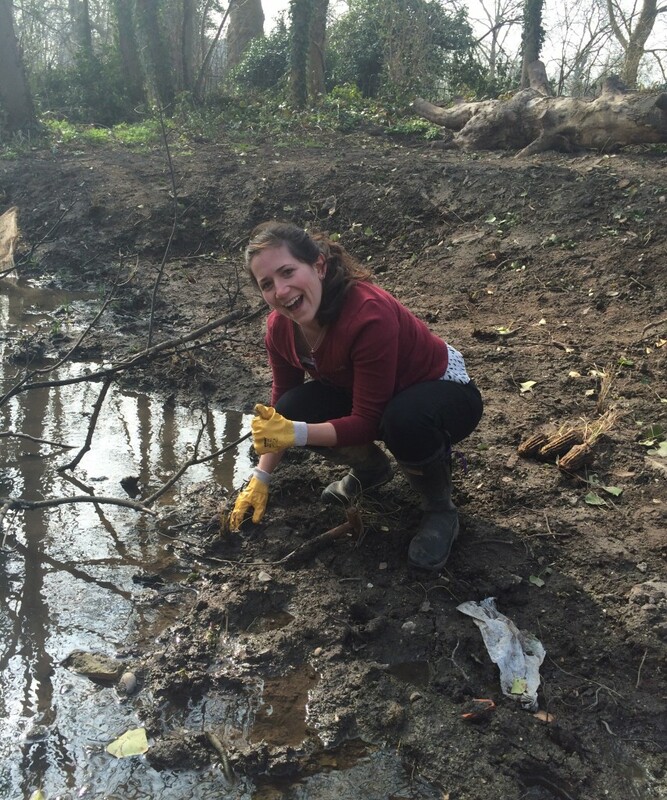 Louise from the Living Wandle Landscape Partnership team couldn’t resist coming for a visit and doing some planting as well. The pile slowly got smaller and after a quick lunch break we had all 2000 plants happily installed in their new homes. The next job was raking and seeding the bare ground with wildflower and grass mix. 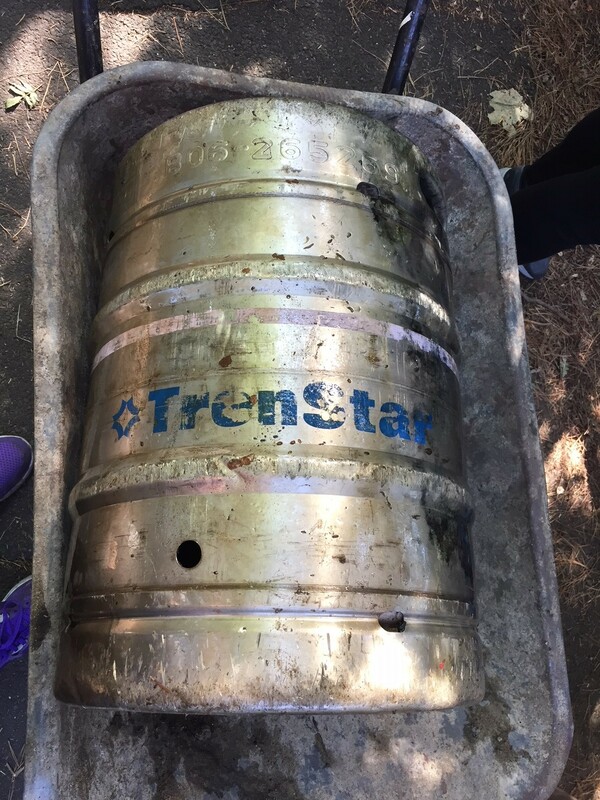 It was a great 3 days out in the field and a big thank you to all the volunteers who came to help! A big thanks to Lawrence who helped run the event with Luke and myself. 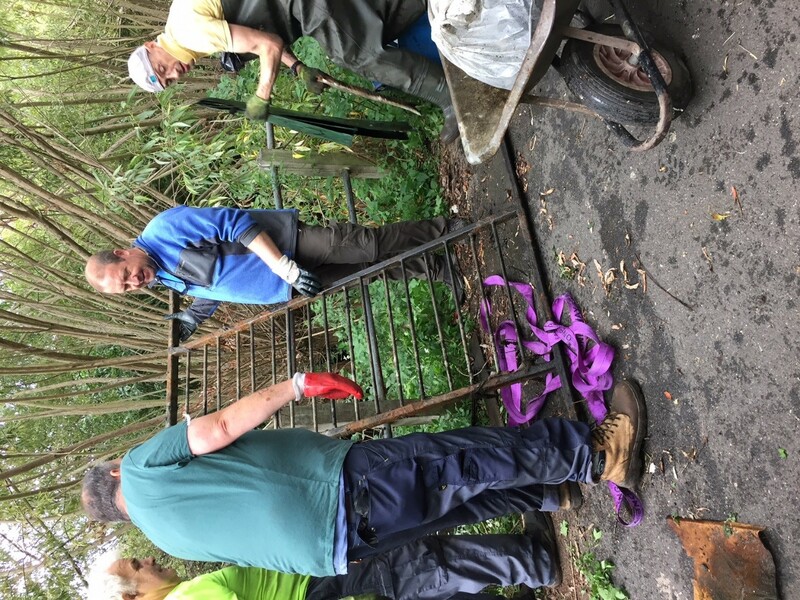 Thank you to all our volunteers for coming: Barbara, Charles, Dave, Jason, John, Lawrence, Maureen, Mike, Neil, Nick, Rob, Tim and Wally. 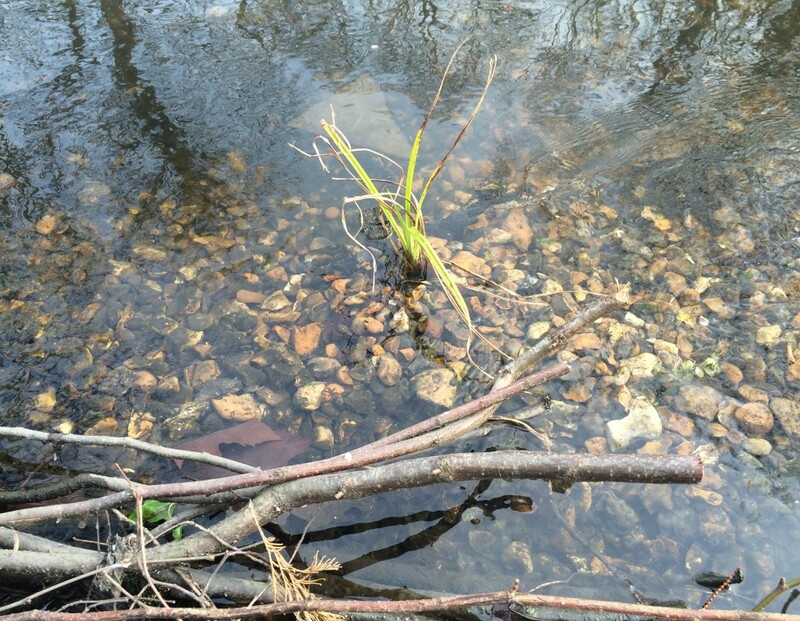 Next week – Wimbledon Common and the Beverley Brook! This entry was posted in Wandle Catchment Plan and tagged Events, Living Wandle Landscape Partnership, People, Ravensbury Park, River restoration, South East Rivers Trust, Thank you, Volunteer, Wandle, Wandle Catchment Plan on April 14, 2015 by Polly.